In an abandoned warehouse, a film crew are making a zombie film when, out of nowhere, real zombies arrive to terrorise and terrify them. The original title in Japanese means ‘Don’t stop shooting’, as filming continues even in their new horrifying circumstances. 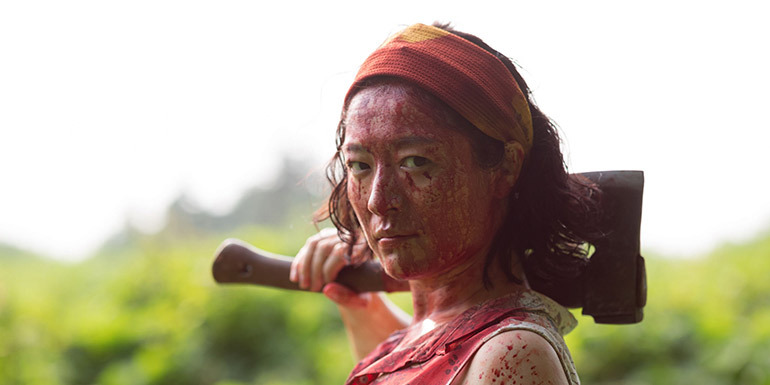 Exhilarating, entertaining and unique, One Cut of the Dead was filmed in just eight days. This inventive independent picture was a smash hit in Japan, with the first 37 minutes of the feature filmed in a single take.